Your monthly retirement living expenses - A common rule of thumb is somewhere between 70% and 100% of your annual earned income prior to retirement. Your retirement age - This is the age at which you plan to stop working full time and start accessing your retirement portfolio assets. 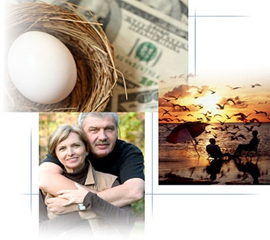 Your life expectancy - This will define how many years your retirement costs will continue to be incurred.